An upright, more or less open headed tree. Flowers are a rosy red bloom. Outstanding features ar the tree’s almost complete disease resistance and its small red fruit, 1cm in diameter, that cling to the trees all winter. 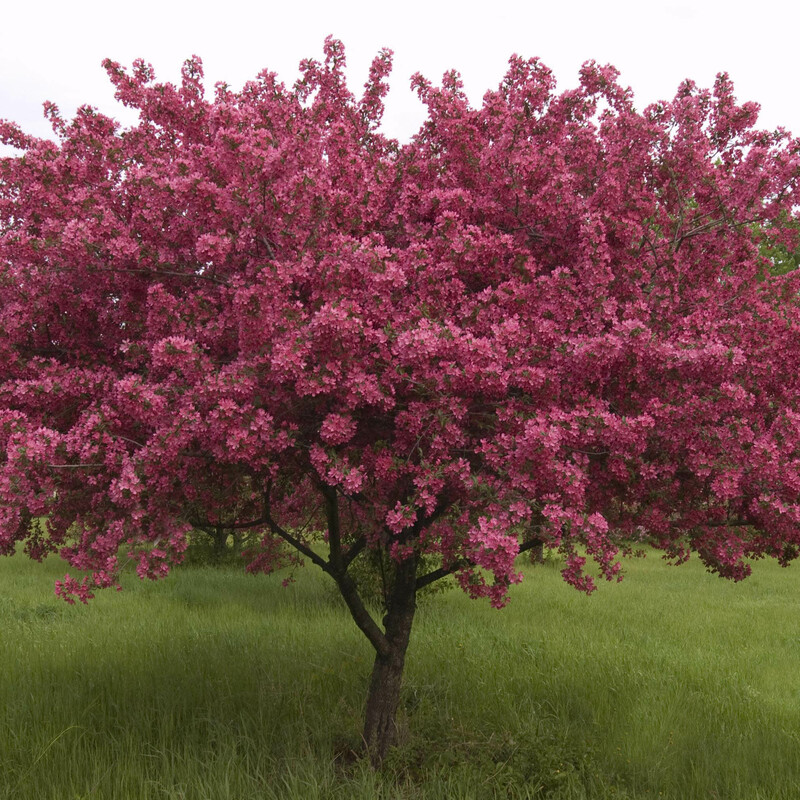 The flowering crabapple are a durable and highly useful ornamental trees that are strikingly beautiful in bloom.